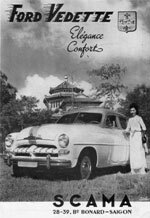 The Ford Vedette is a sedan with six side-windows. 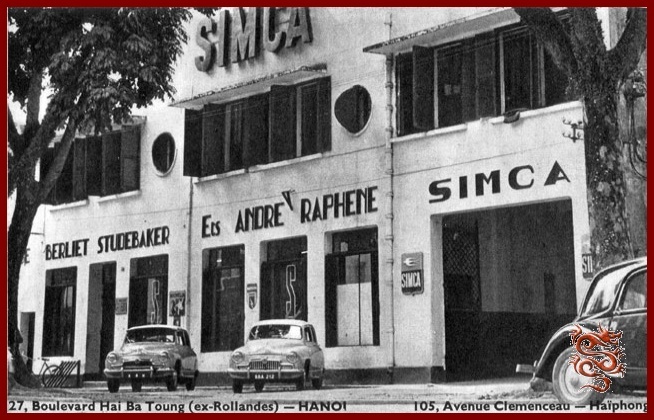 Designed in the United States, presented by Ford France (Ford SAF) in October 1948, and built at the factory at Poissy (Seine et Oise), which in 1954 would become the SIMCA plant. 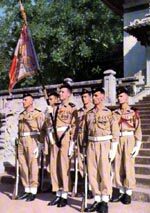 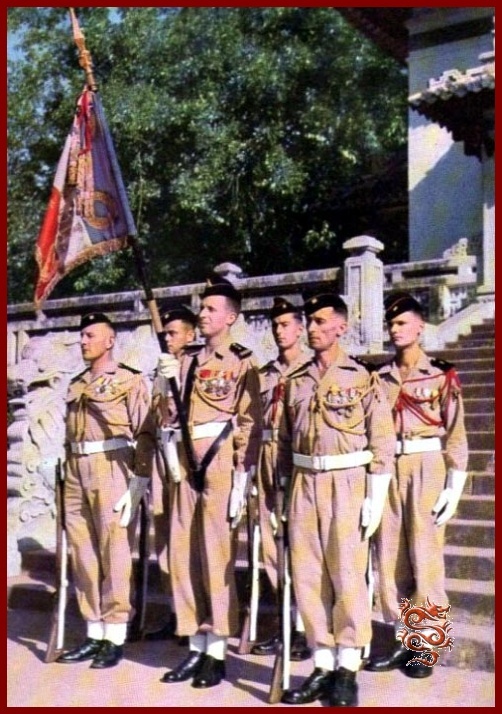 These round-backed Vedettes represent the first generation as of 1949. 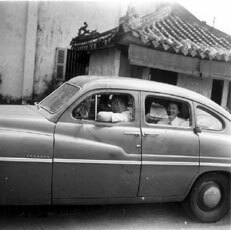 The one in the middle has twice the number of ‘teeth’ in the grille much like the Mercury, and behind it we see a special grille. 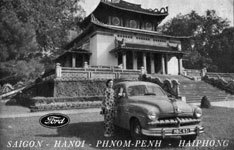 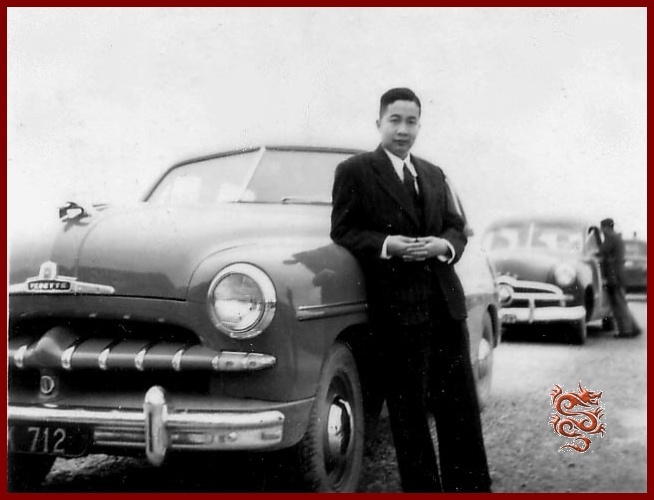 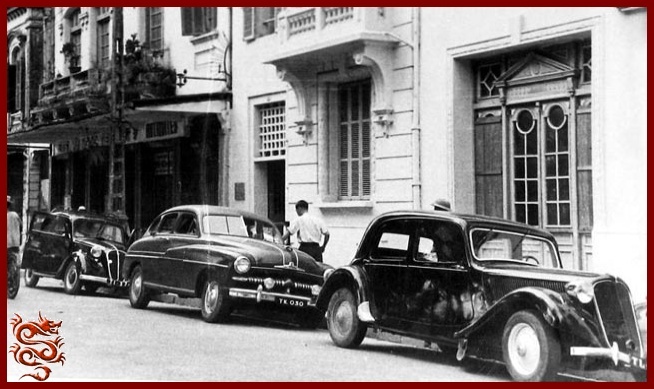 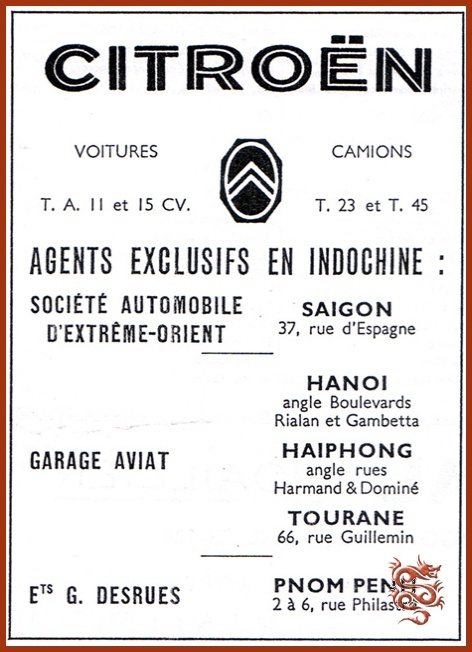 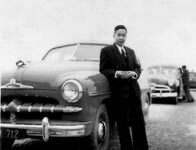 From their beginning, Ford Vedettes were widely distributed in the countries that made up Ex-French Indochina. 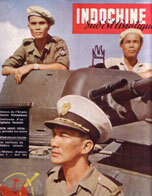 I also have an old memory of an old photo in Paris-Match of Norodom Sihanouk getting out of one in Cambodia. 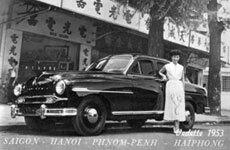 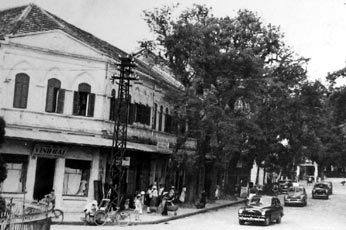 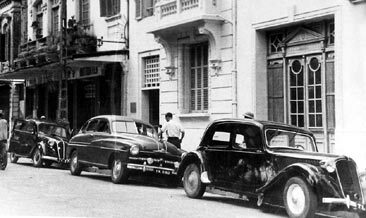 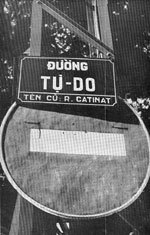 In the old capital of Tonkin, Hanoi, the Vedette and other high-end cars were plentiful in the streets, and their memory is still there in the 21st century. 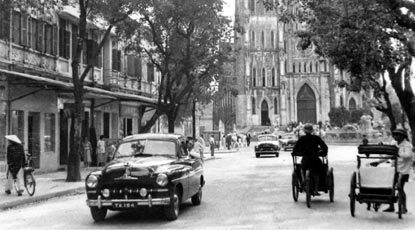 This is how, by chance, in the city library of Dinan (the one the Côtes d’Armor, not the one in the Belgian Ardennes), I happened upon some beautiful photos of a wedding procession leaving the Hanoi cathedral in a Ford Vedette. 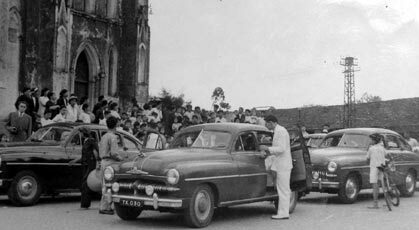 The procession leaving the Saint-Joseph cathedral (Nha Tho Lon). 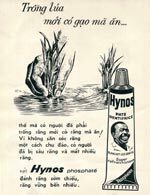 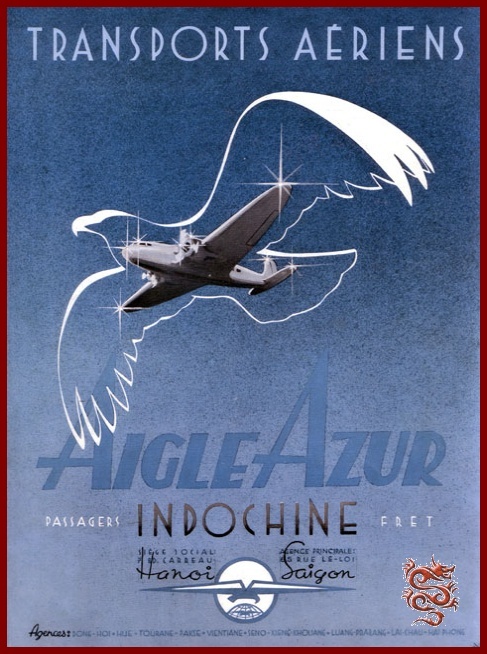 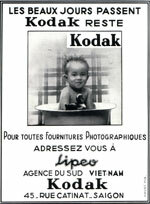 So I set off after information about this exotic past of 60 years ago. 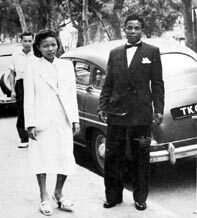 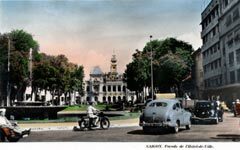 Sometimes life is as simple as a phone call: I called the director of the library in Dinan to get a quality copy of the photo, and he gave me the address of the 1952 wedding couple, alive and well and living about 40 Km. 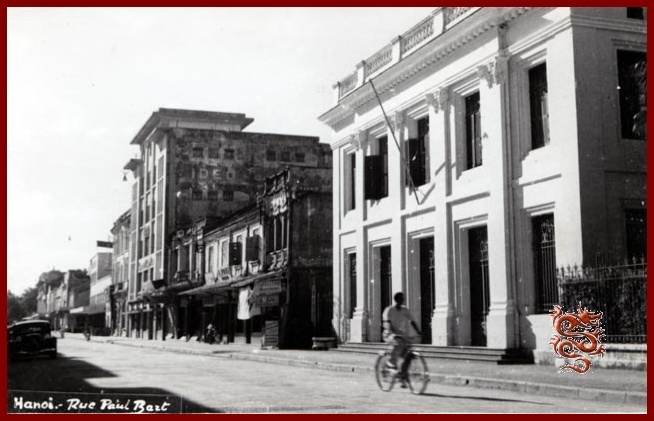 from my home! 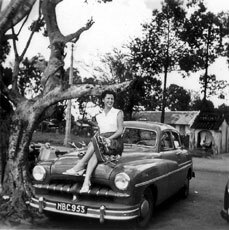 A second phone call to Mr. And Mrs. Riffard who invited me to their home. 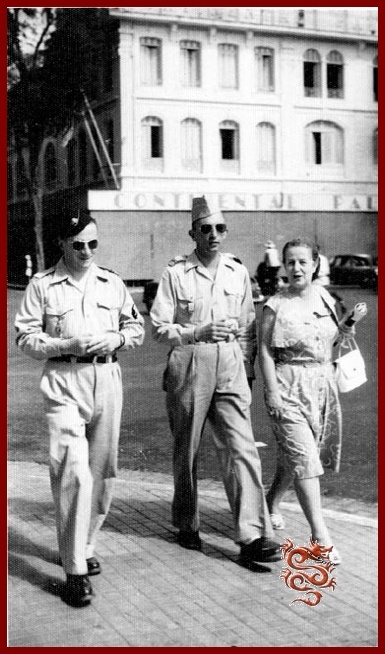 At first, these charming people are a bit surprised at the interest I have in their past, but the conversation quickly relaxed and became very interesting to me.! 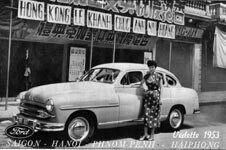 First off, big weddings were important milestones in life in Vietnam, and in the big cities such as Hanoi one could employ various services for the event, such as an organizer, a caterer, and also a car-rental service. 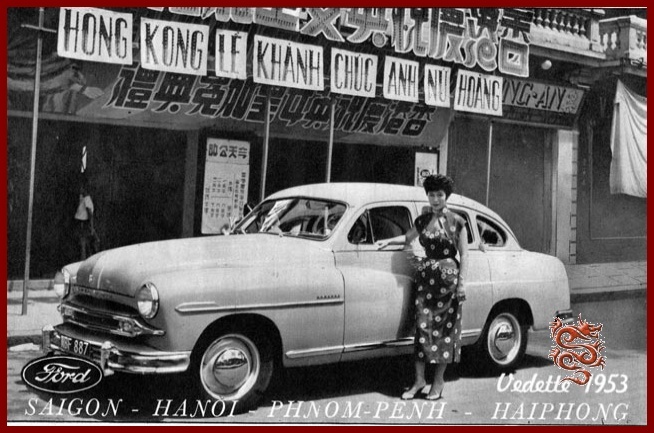 This is how the Vedette limousines came to be rented in 1953. 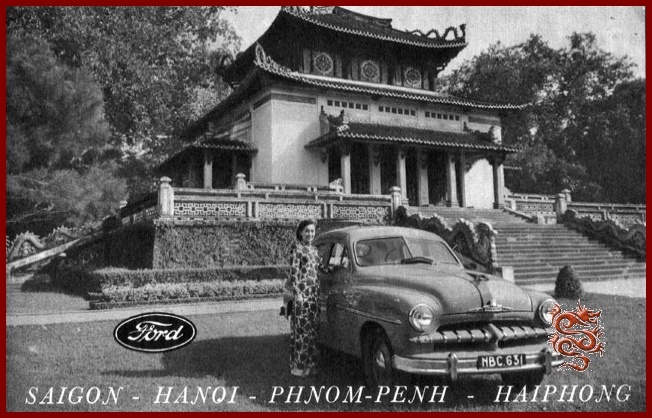 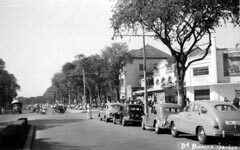 The procession of the three Ford Vedettes in the streets of Hanoi. 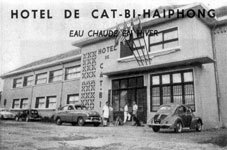 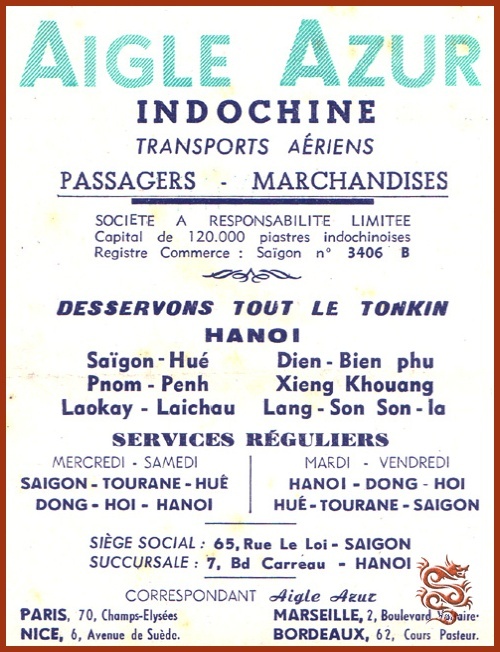 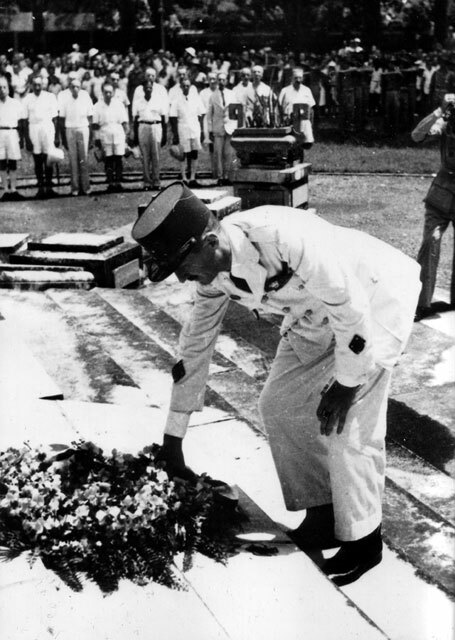 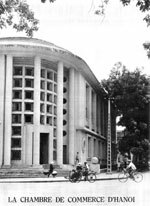 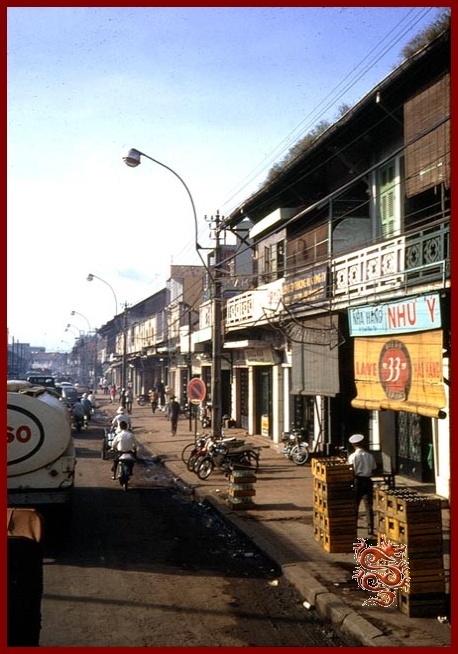 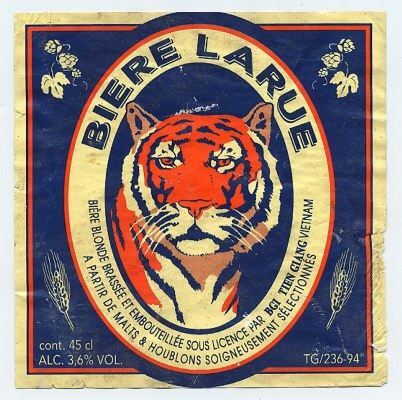 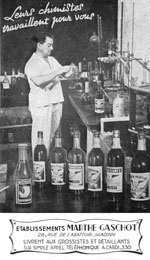 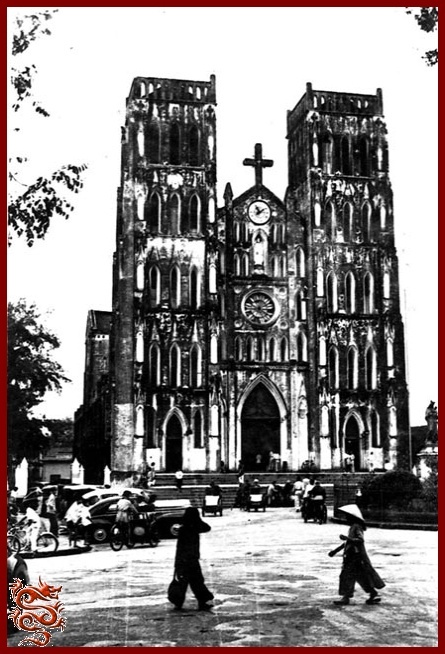 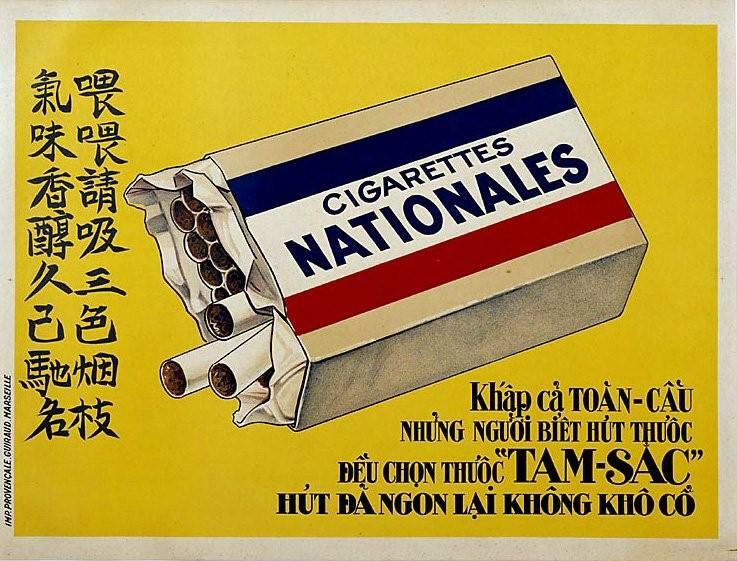 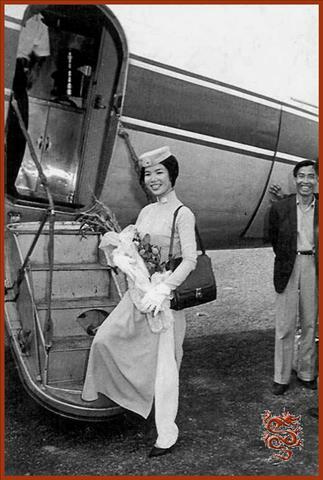 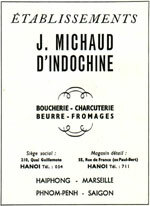 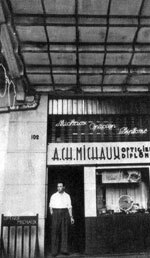 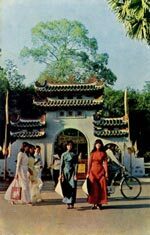 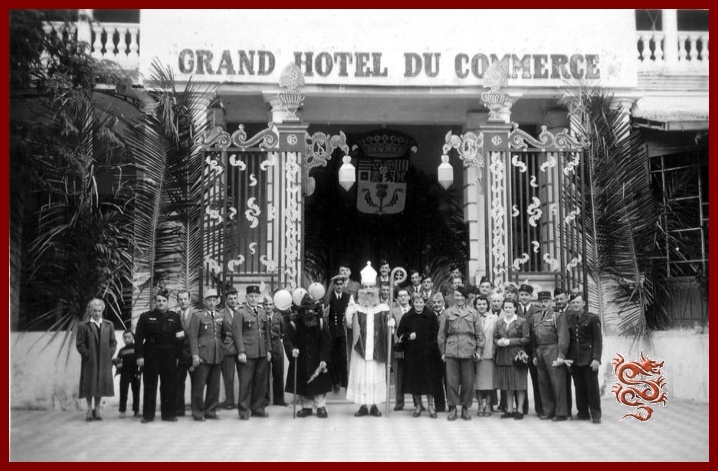 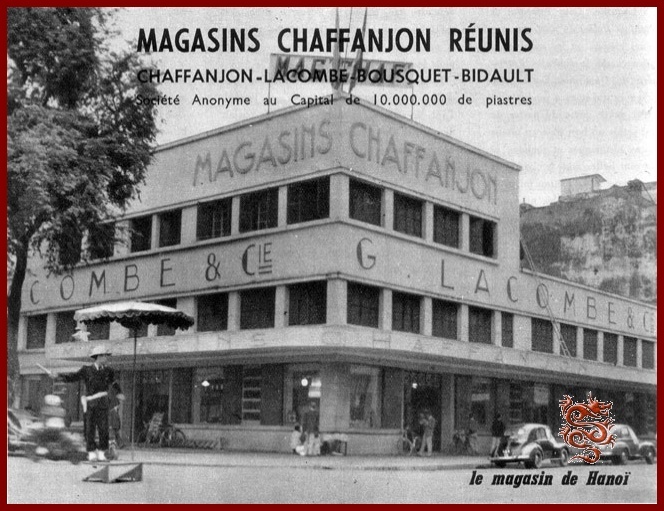 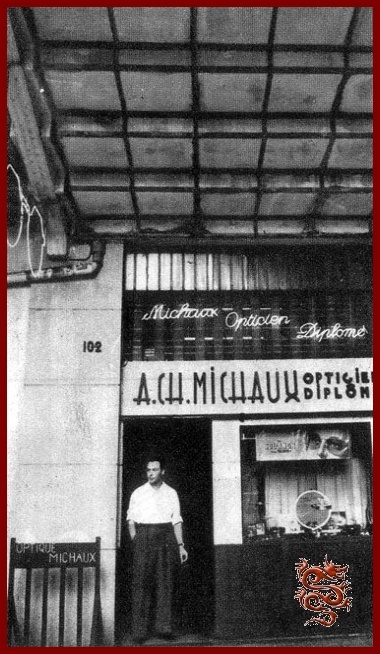 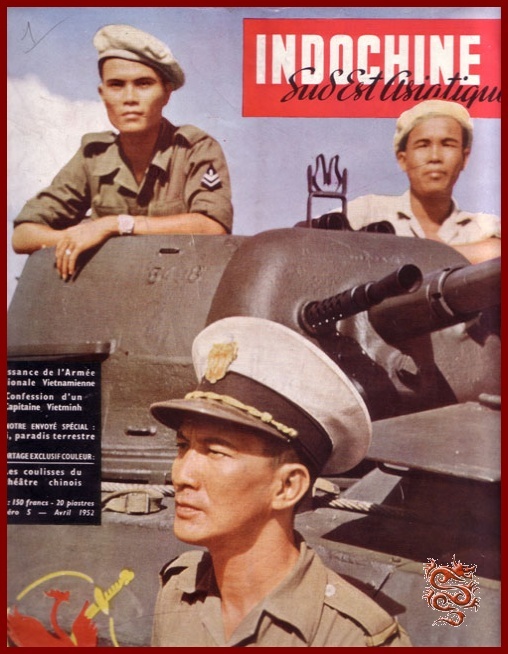 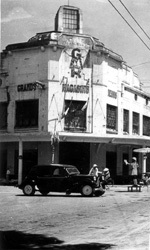 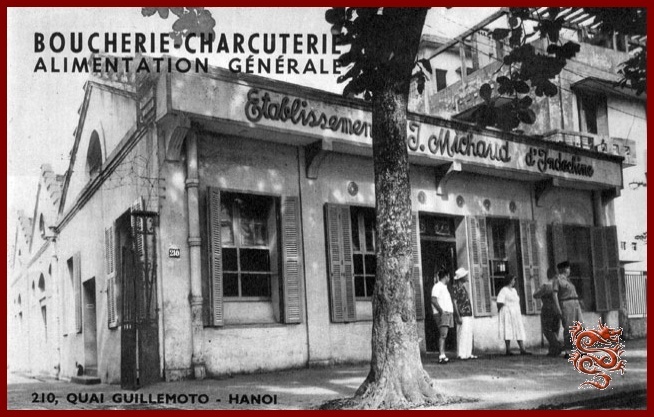 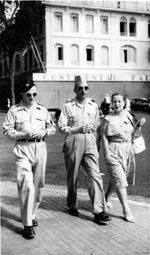 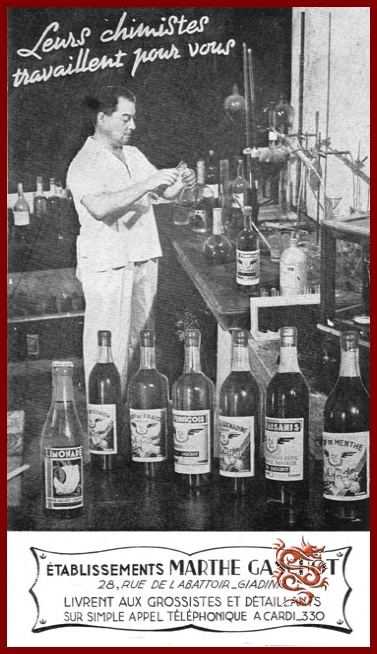 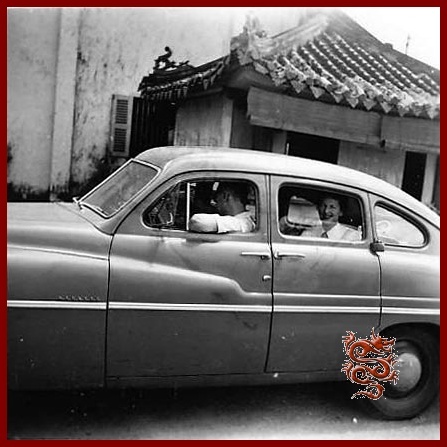 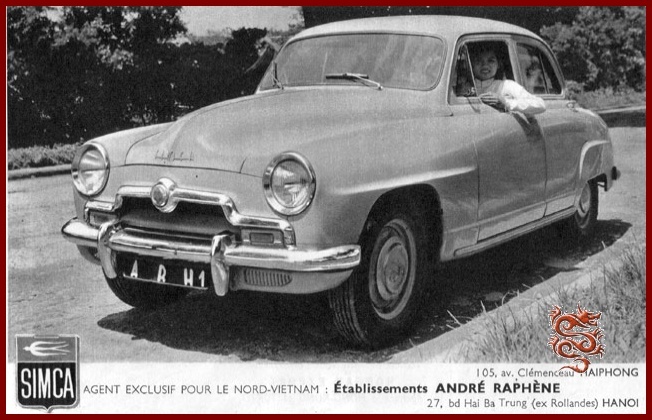 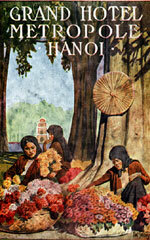 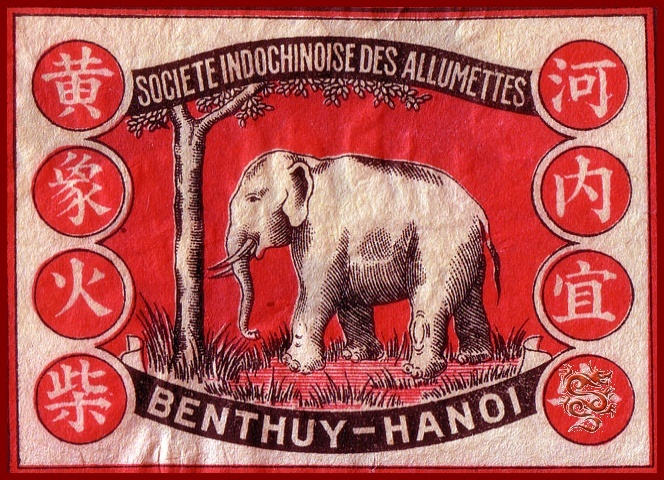 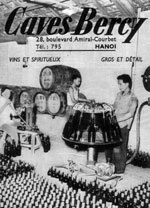 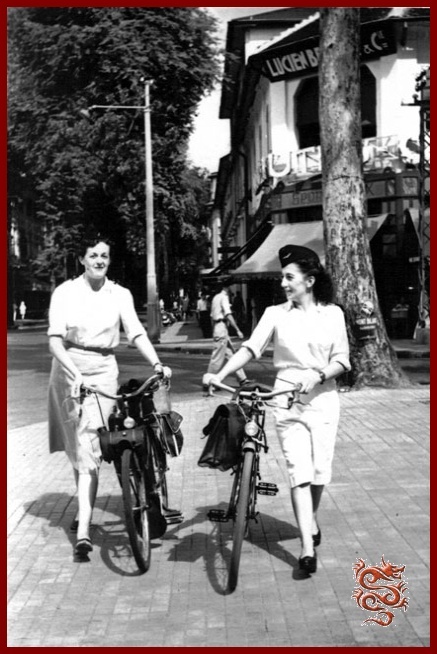 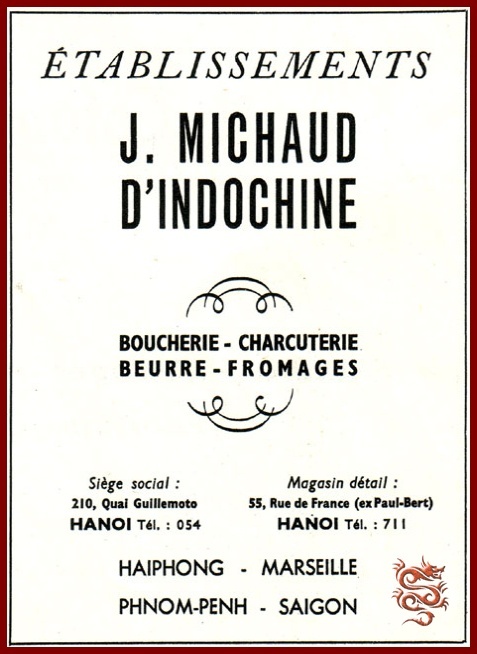 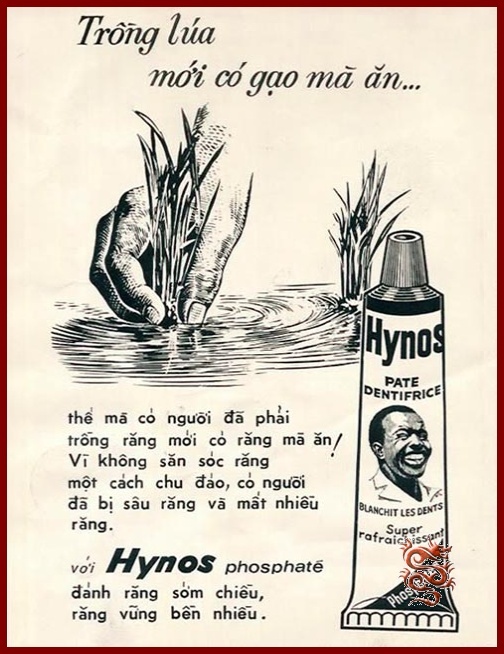 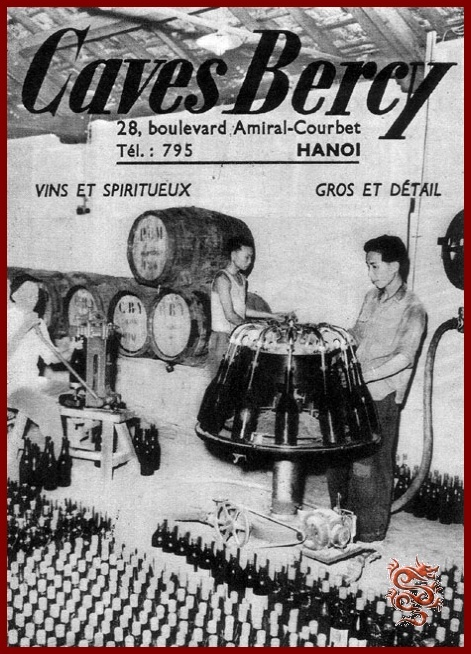 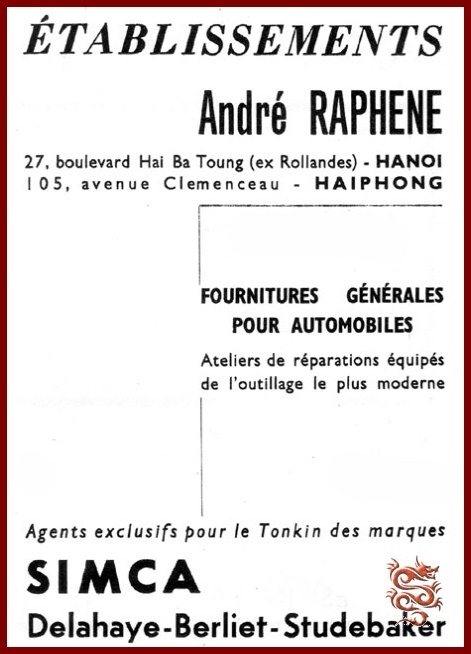 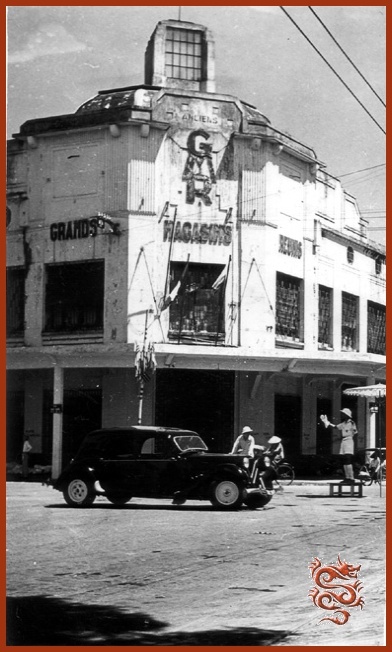 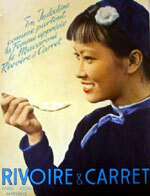 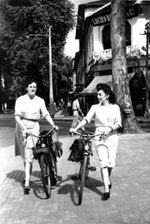 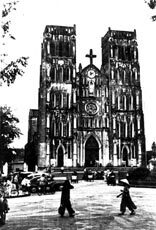 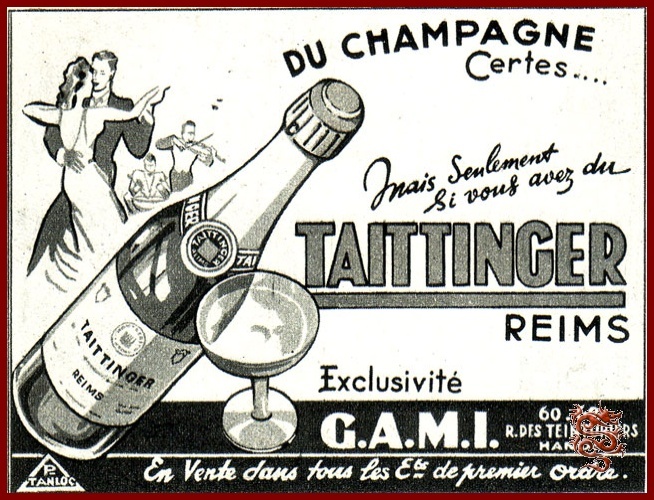 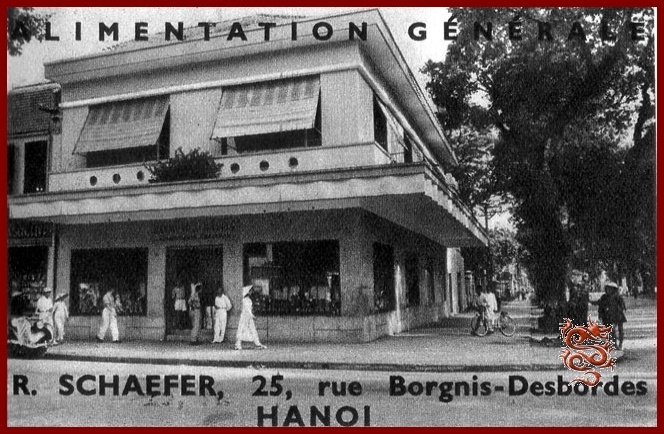 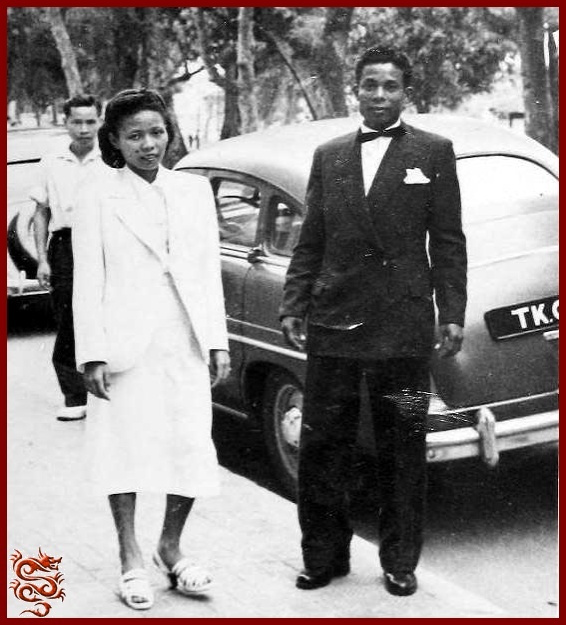 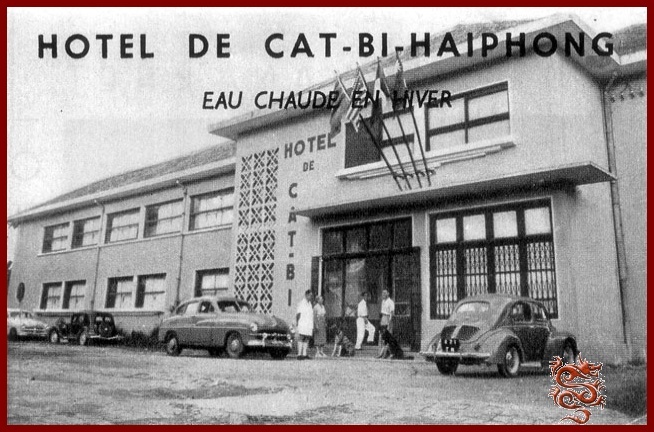 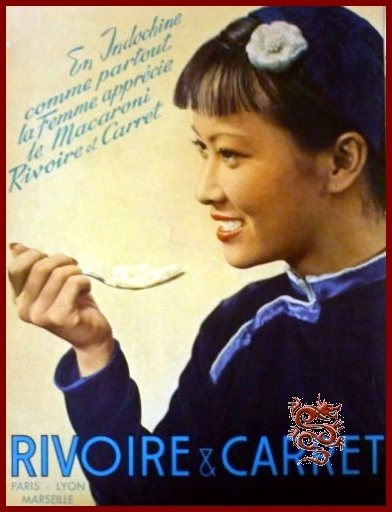 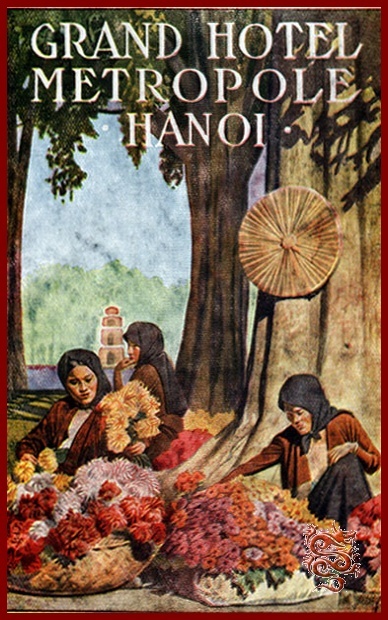 As a soldier in the French army at the time, Mr. Riffard would leave Hanoi on the eve of the capture of the airport by the Vietminh, and would go on to a career in France, with Mrs. Riffard working in the restaurant business and for a while driving a V8 Versailles with her numerous children. 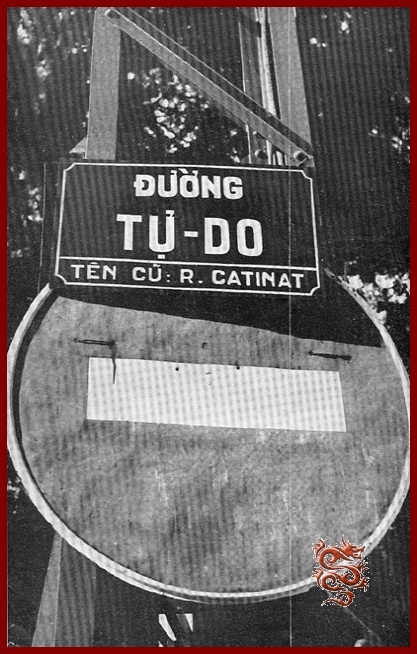 Job transfers as well as old contacts from the beginning of their career led them to settle permanently in Dinan. 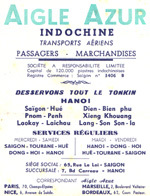 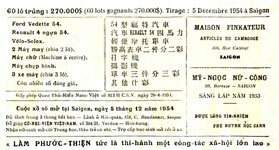 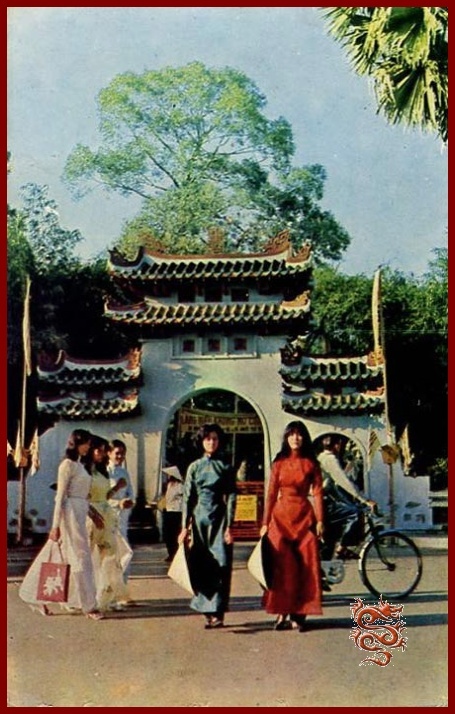 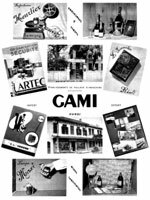 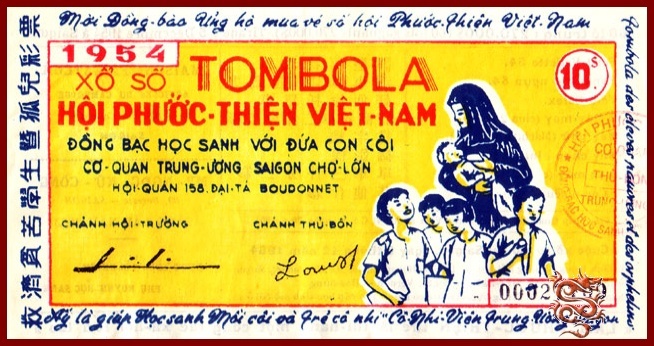 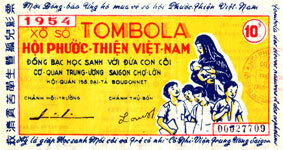 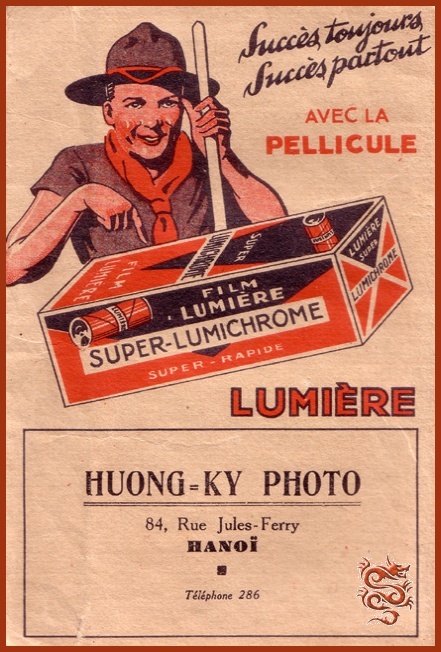 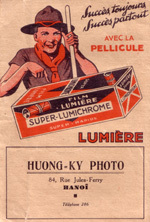 SCAMA advertisements with the round back models taken in the Botanical Gardens of Saigon and in the city. 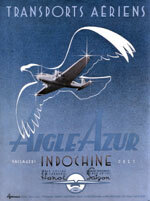 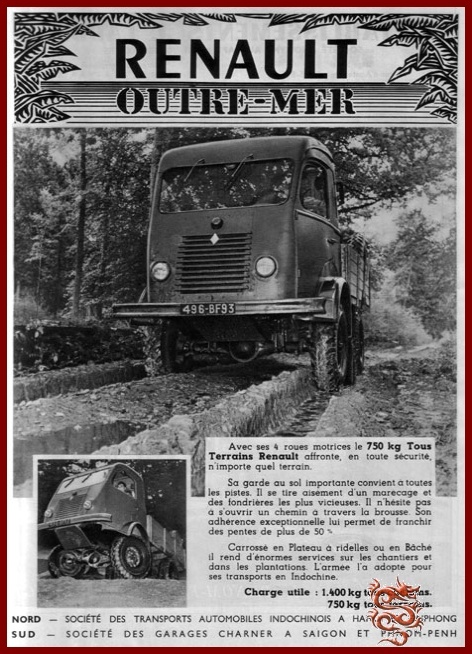 Note the tow-tone paint job on the first one, unknown in France. 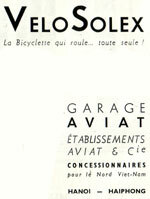 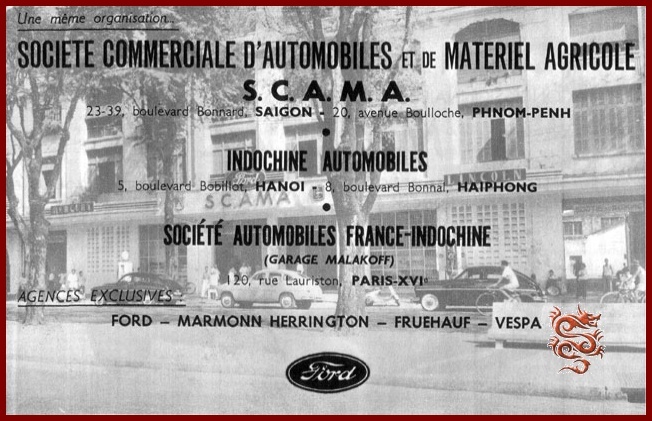 Société Commerciale d'Automobiles et de Matériel Agricole - (S.C.A.M.A.). 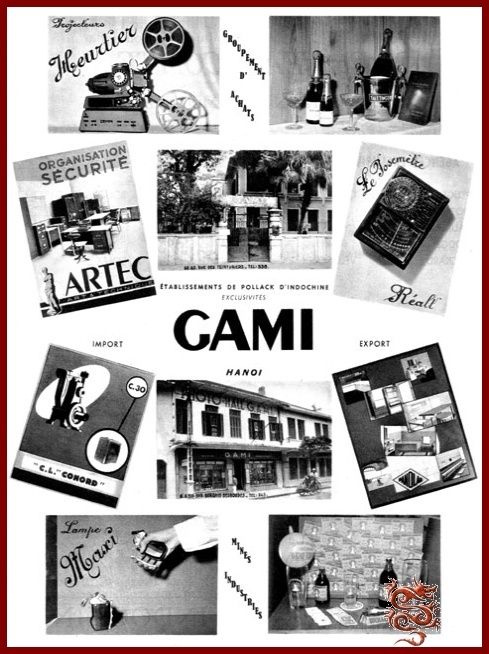 Makes represented by S.C.A.M.A. : Ford – Marmon Herrington – Fruehauf – Vespa – Goodyear. 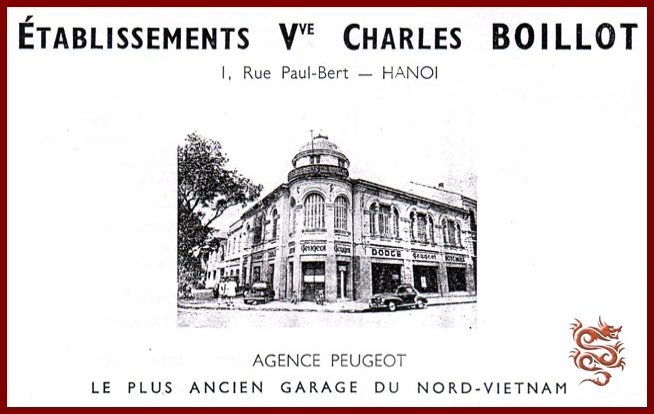 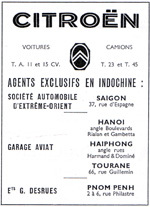 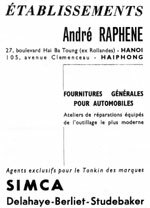 After this pleasant meeting, an Internet search showed me that the Malakoff Garage at 120 Lauriston Street in Paris in the 16th district is still a Ford dealership, but nothing seems to remain in Vietnam. 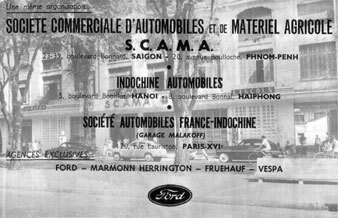 Oddly enough, in 2012 there seems to be a “SCAMA” Ford distributorship in Morocco, where the “C” stands for "Cherifienne". 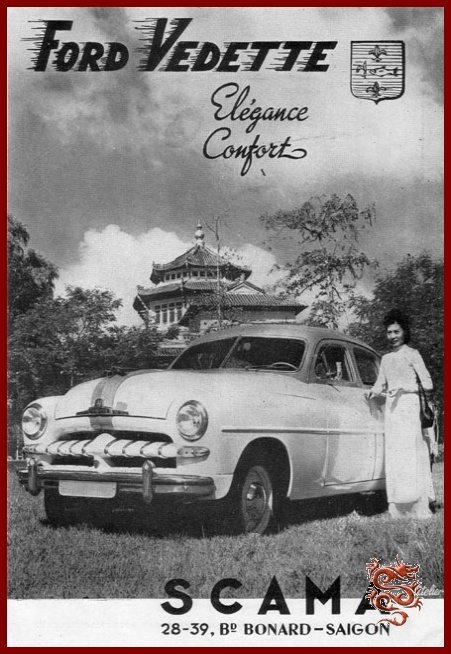 It should be noted that all the Vedettes from the wedding have a bumper with a top molding and bumper-guards, which date them to approximately 1949-1950. 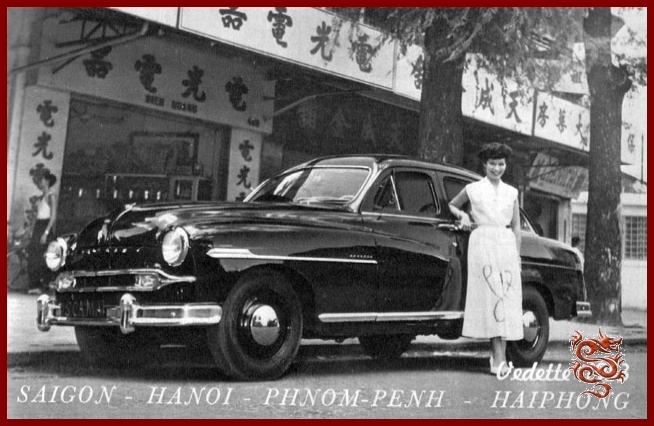 Other details could be more revealing, but also add perplexity, such as the mixing of side-moldings of different types, positioning of the rear license plate, and hub caps. It would seem that the cars were re-accessorized over time and may have had "export" specifics. 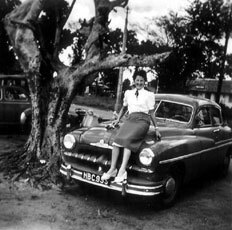 Let’s get back to the young couple, posing somewhat nervously in front of their "Mercury-ized" Vedette. 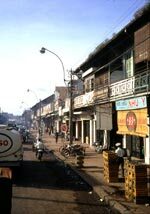 They are somewhat changed today, but are still in good health and have a large family. 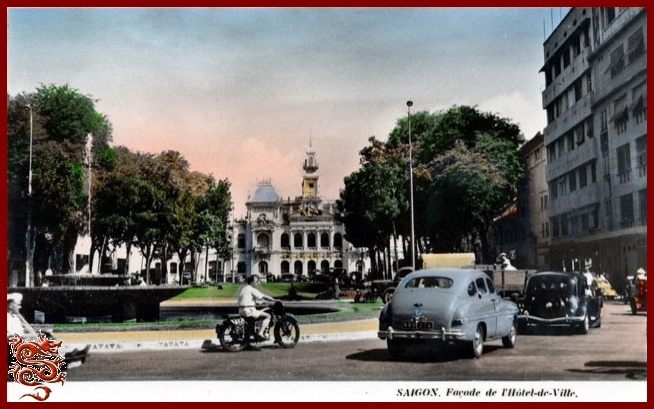 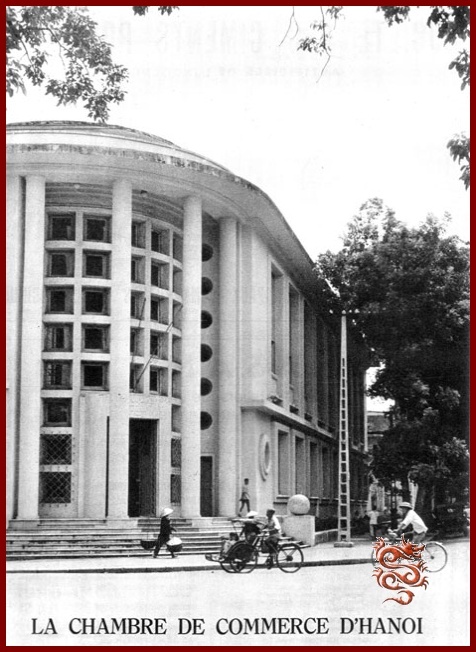 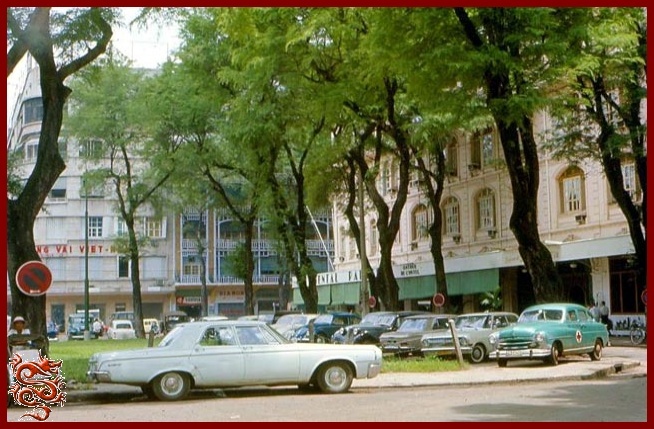 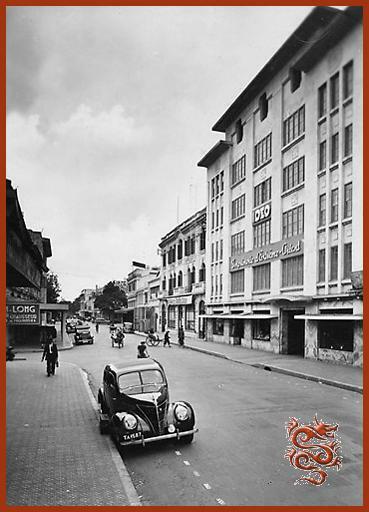 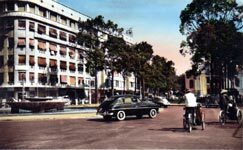 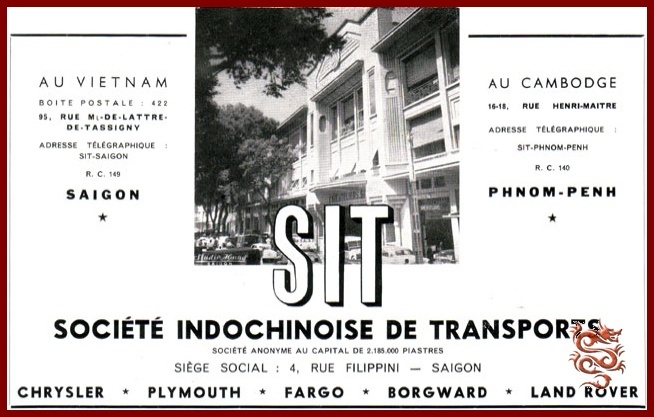 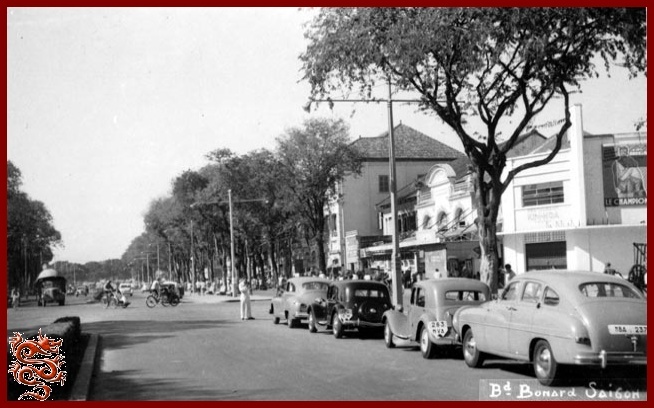 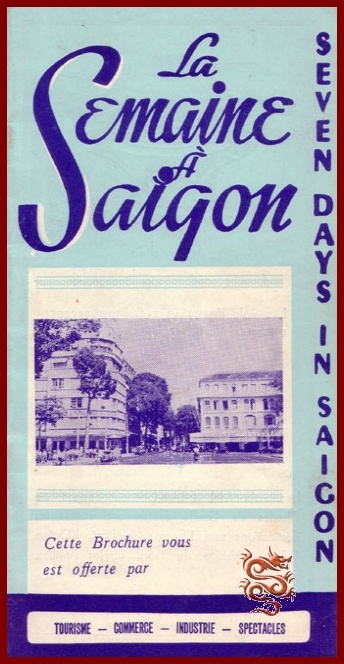 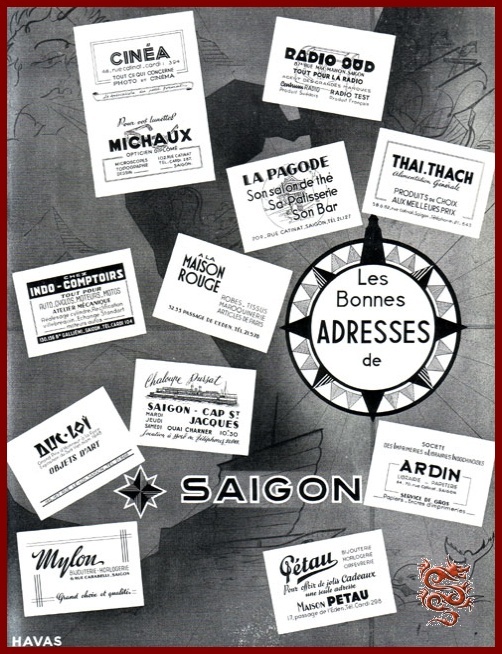 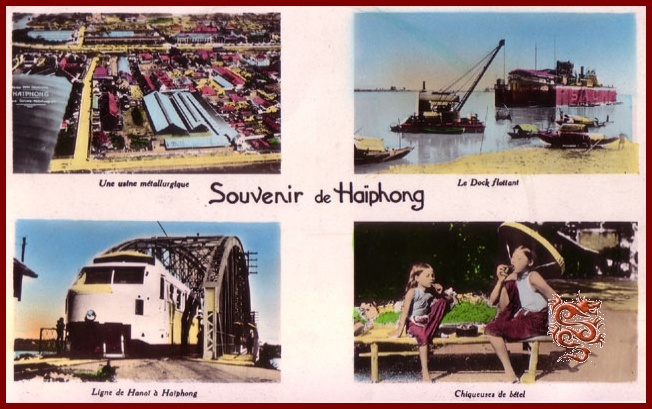 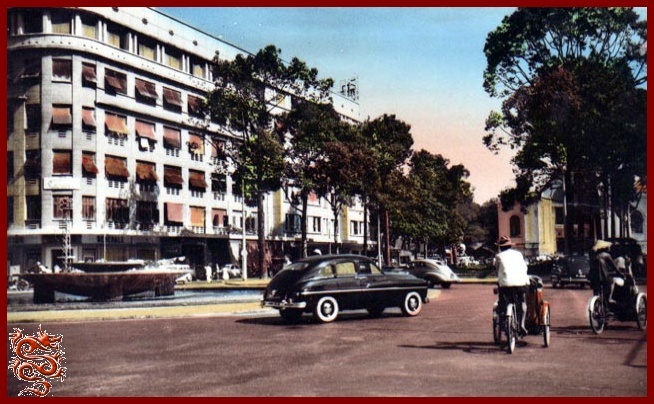 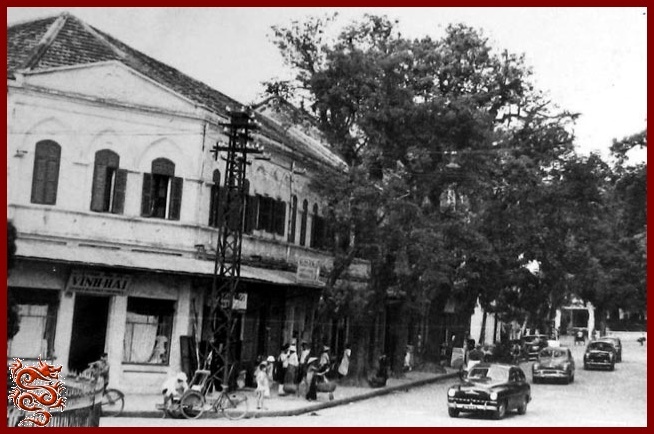 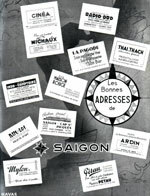 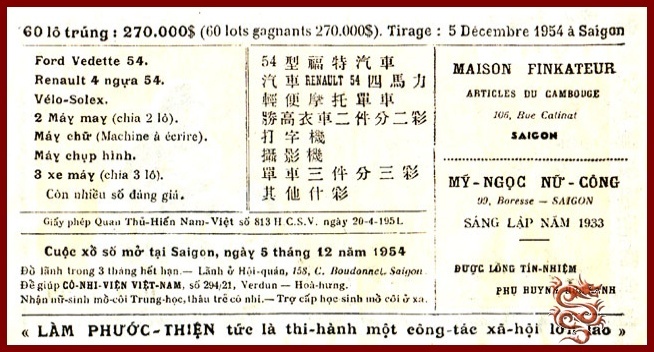 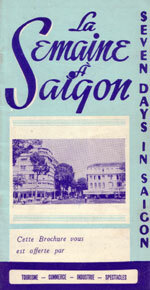 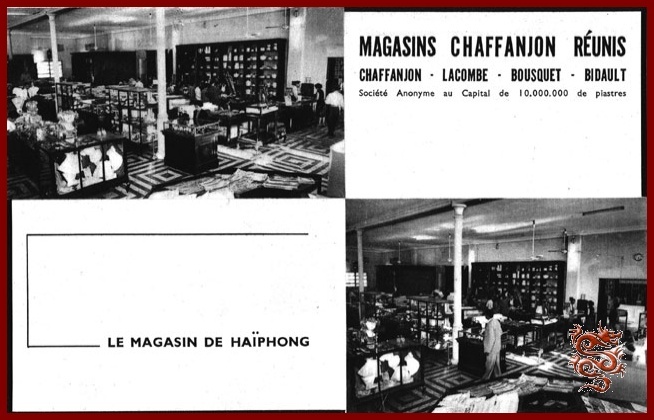 Postcards of Bonard Boulevard (Lê Loi) and of Saigon City Hall. 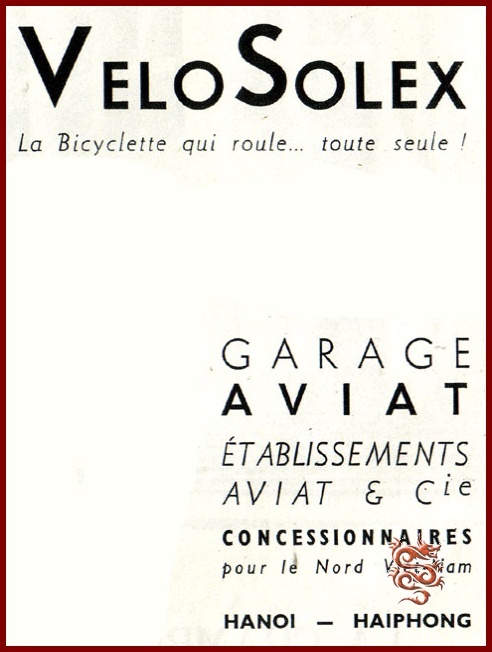 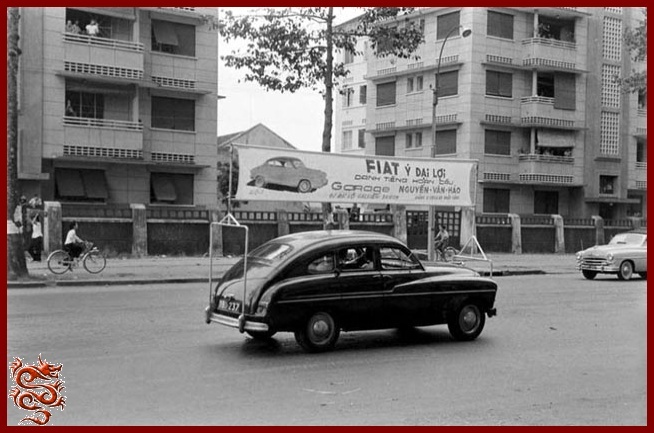 On the left: A Vedette with an ad for Fiat. 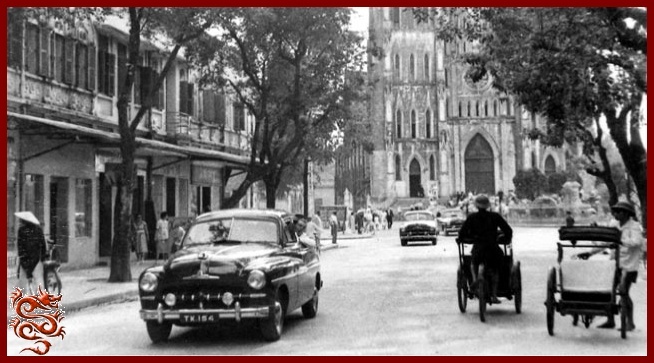 On the right: A very nice 1954 Vedette with Vendôme style paint, visibly the property of the Red Cross, another Vedette sedan and various other vehicles (Opel, N.S.U., etc.) 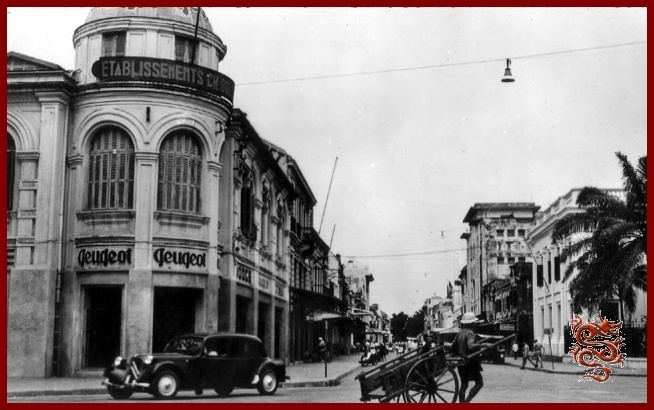 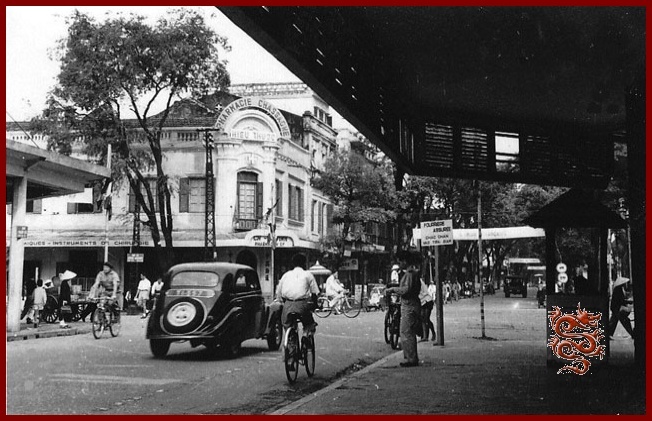 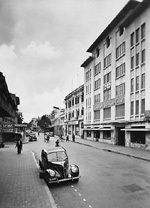 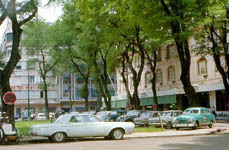 in front of the Continental Hotel, Theater Square, Saigon. 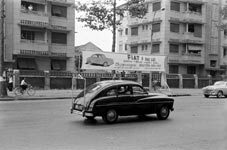 On the left: A Ford Vedette on the Charner-Bonard Roundabout (Francis Garnier Square)..
On the right: The owner of a Vedette. 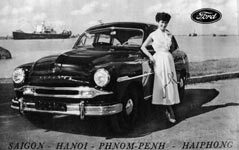 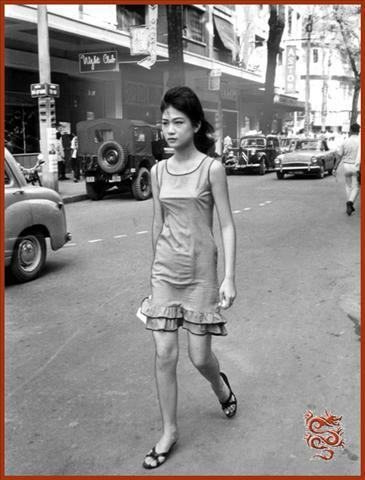 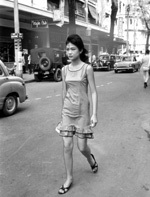 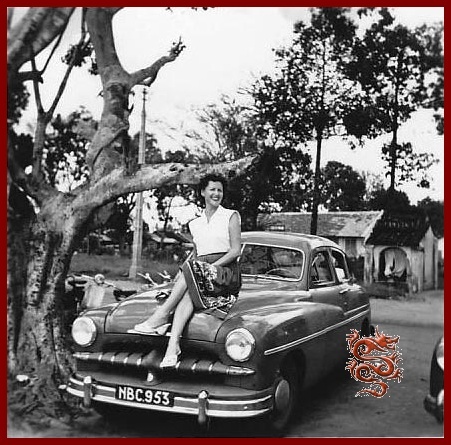 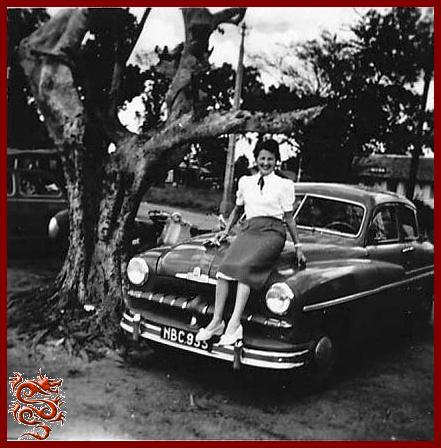 Saigon 1955, a French woman in a flattering pose on the hood of a Ford Vedette. 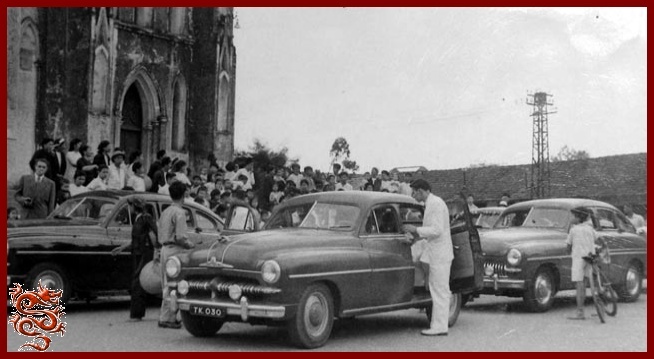 These various photos will no doubt evoke memories for witnesses of that era. 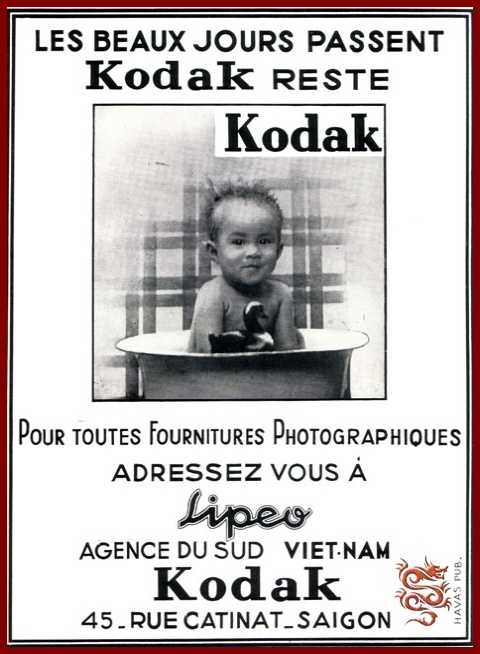 Any and all stories, photos, and documents would be welcome and very much appreciated by the members of the Vedette Club of France.